Are you ready to sell your motorcycle in the Houston area? Can’t seem to find qualified buyers? Don’t have time to advertise or wait for buyers to find you? IQ Autobuyers is your solution! All we do is buy cars, motorcycles, ATVs, and watercrafts. We have three convenient Houston IQ Autobuyers locations to serve you, so whether you drive it, drag it or haul it, just get it to us for the fastest payment available for your motorcycle or ATV. We’ll pay you on the spot! If you can’t bring it down to one of our Houston locations, simply fill out our ‘Sell Your Motorcycle’ form below for a FREE Evaluation, and instant offer. Once you accept our offer for your bike or ATV, it only takes a few minutes for us to process the title and have you on your way. Get a Quote. Get an offer. Get Paid! With Houston IQ Autobuyers, it is as easy as that! Visit our friendly staff for the best service and most relaxed way to sell your motorcycle in Houston and surrounding areas. We want to get you the cash you need today! So, when it’s time to sell your motorcycle or ATV, there’s only one place you need to go: IQ Autobuyers. If you have any questions about how to sell your motorcycle in Houston, please give us a call at 713-691-3900 and we will be happy to offer our professional assistance. 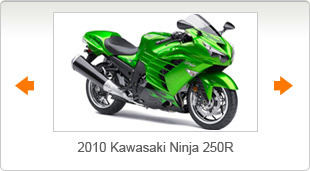 You can also sell your motorcycle to us in Dallas, San Antonio, Austin, and Waco.. Call us today to find out how!